To advance the research and practice of teaching and learning in science, technology, engineering, and mathematics, the STEM disciplines. The Maine Center for Research in STEM Education (RiSE Center) is an interdisciplinary center organized to conduct research, graduate education, and professional development, and to build community partnerships focused on improving the research and research-based practice of STEM education at all levels of instruction. 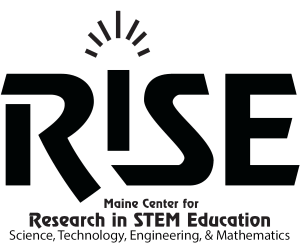 Members of the RiSE Center include faculty, staff, and graduate students engaged in education research across multiple STEM departments and the College of Education at the University of Maine. RiSE faculty, staff, students, and collaborators contribute to knowledge of teaching and learning across STEM subject areas, with significant national and international contributions in Biology, Chemistry, Earth Sciences, Education, Marine Sciences, Mathematics, and Physics. The RiSE Center provides education and professional development for emerging educators through undergraduate and graduate opportunities, including teaching and research assistantships, a Master of Science in Teaching degree with a teacher certification option, and an interdisciplinary STEM Education PhD program. The RiSE Center also facilitates community partnerships with K-12 schools and school districts, teachers, university faculty, and other organizational partners in Maine and beyond to improve STEM education and teacher preparation through research-supported practices. 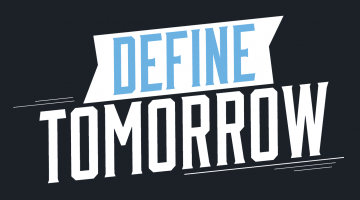 Click here for our conceptual framework.